Apple will start off its annual conference for software developers on Monday and the battle with the online search giant to become the best in business. Apple would be aiming to capture the minds of the best software developers at its annual conference. The company is looking to raise the bar of its mobile devices and differentiate them from Android. It is expected that Apple will release its own mapping application to challenge the user base of Google maps, which is one of the most vastly used apps on iPhone. Apple will further show closer integration of its apps and its cloud storage services on all its devices, this can be seen as the latest development in its battle with Google. It is being learnt that Apple will further promote Siri, the voice responsive interface which will continue to keep iPhone and iPad apart from the latest Android smartphones. Apple has a wide app ecosystem which is continuously being improved by closely managing the app store and seamlessly integrating it with quality hardware. This is what keeps them unique and distinct from Android which has free approach to its android market. This open source approach has enabled Google to capture the lead in market share of smartphones but that's not the same when it comes to profit, Android comes no where near Apples profit margins. Android has given various smartphone manufactures a strong platform to build phones that can challenge the position of iPhone. Samsung has recently launched the Galaxy SIII which runs on Android ICS and is already getting a very good response. The Amazon Kindle Fire being low cost is a clear market grabber of Apples tablet market. 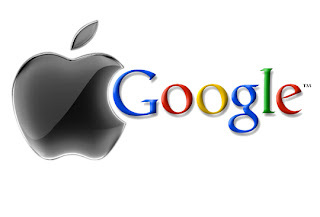 Now when Apple wants to replace Google Maps, it shows clearly how the battle between two software giants is on a high. Google has improved its mapping service significantly over the years investing huge money in it. While Apple has been keen on replacing Google Maps as the default mapping app on its devices and now they may implement it. The war between the two companies in the court rooms is another indication of how serious this competition has become. Apple has also stated that they will be moving court to get a legal order to stop US launch of Samsung Galaxy SIII which runs on Android. Samsung has emerged as the largest manufacturer of Android smartphones. It would be interesting to see whats the outcome of this fierce battle, whatever it may be it will surely improve the technology usage and consumer experience.